So you like to go fast? You like comfort and sightseeing on the water with friends? Waterskiing? Tubing? We’ve got the boats for you! 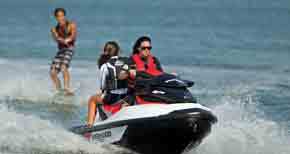 Whether it’s renting a pontoon, ski boat, open bow boat, seadoo, jetski, waverunner or watercraft, it’s as easy as a click or phone call away, now. 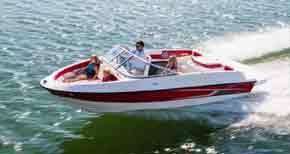 And we have the best prices around, $195 for 5 hours to rent flathead boats with a motor. Need more time? $350 for 10 hours to rent Flathead boats with a motor. It’s as simple as that. 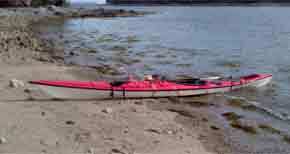 Need ideas about what to do on the water? Check out Flathead Lake Activities. 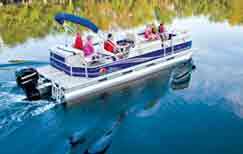 Not only do we have the best prices of any boat rental outfit from Lakeside, Bigfork, Polson, Kalispell, Whitefish or Missoula, but we also allow pets to accompany you on the boat. Please let us know if you’d like to take advantage of this opportunity! 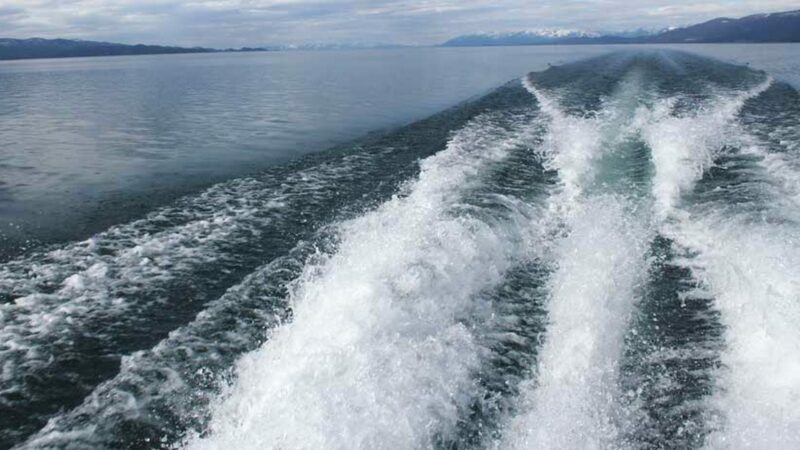 Many out of state renters ask whether a boating license is needed on Flathead Lake. The answer is no. We provide all of the necessary training to make sure you’re comfortable operating a boat prior to the time we leave you with it. If wanted, we can arrange a captain to take care of the driving for you, or we can give you rides to and from Wild Horse Island anytime. If you would like overnight Flathead boat rentals or multiple day Flathead boat rentals, please contact us to make those arrangements. We are here to serve you. Call 406.260.5090 to make a reservation anytime. Our general office hours are 7 a.m. to 10 p.m., every day of the week.